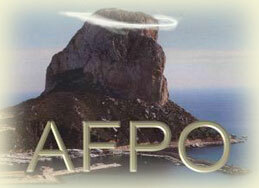 The Association of Foreign Property Owners is based in Calpe, in the province of Alicante (Spain). It is a non-profit-making body run by its members through a committee of volunteers. Its sole purpose is to help its members with whatever problems they encounter. With the accumulated experience of its committee, there are few problems that cannot be solved. Find out more about AFPO, how it works, when it meets, and who's on the committee. Discover all the benefits of membership, in the Health Service, in dealings with the Calpe ayuntamiento (Town Hall), and with the many problems that we experience in our lives in Spain. 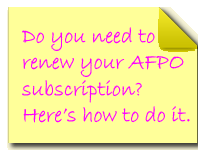 Sign up for AFPO membership, right now! Get useful general information, together with advice and answers to questions that concern many foreigners here in Calpe. Read late-breaking local Calpe news, which may have an impact on your life. Contact us with your questions, using our friendly enquiry form. Paid-up AFPO members may also sign up for a Web ID. Once you have a Web ID, you may log in to the restricted AFPO members' area.